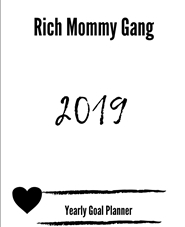 Rich Mommy Gang 2019 Yearly goal planner includes January 2019-December 2019 calendars and space for daily goal planning and weekly to do lists. If you are a mom in business I invite you to find out more about our great organization online www.richmommygang.com. 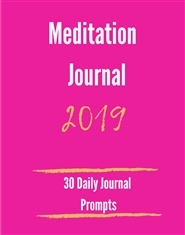 30 day meditation journal for women to experience the power of meditation to explore thoughts, fears, and aspirations. I’m Dianna Hicks and I am the founder of Rich Mommy Gang! I work as a leader, speaker, and business mentor. I am absolutely determined to help as many women as possible to realize their full potential and feel great about themselves. I launched The meditation journal as a way to spread as much motivation, and awareness of meditation. I'm sure you'll love your new journal.